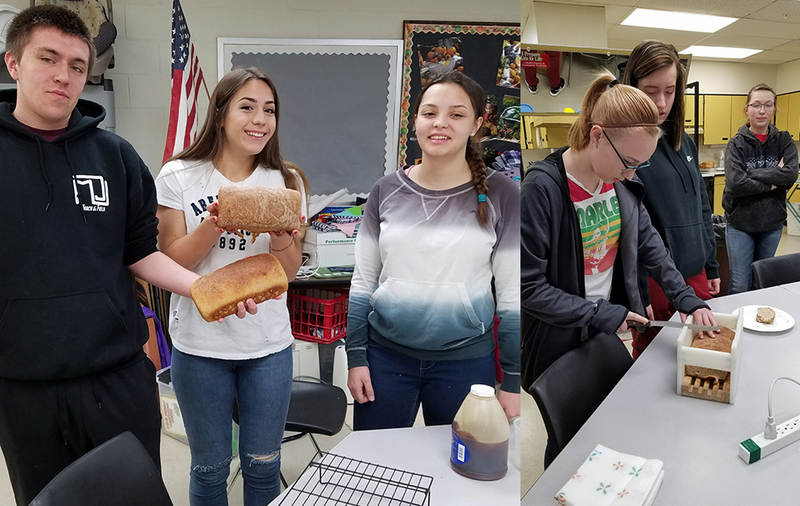 Mrs. Biba's Food & Nutrition classes got to sample their homemade bread on Friday in class. The 1st & 2nd period students made a whole wheat yeast bread in class on Thursday and allowed it to rise in the refrigerator overnight. They walked into class on Friday to the smell of baking bread. Sampling was delicious!